Vishal Earthmovers India Pvt. Ltd.
We are civil contractors offering 360 degree solutions for road, Industrial Sheds and building works in Maharastra, Gujrat, Rajesthan, Madhya Pradesh and Andhra Pradesh. With huge clientele assistance and industrial understanding, we are engaged in offering Road Construction Work. Rendered beneath the supervision of highly able executives, these are largely commended all over the country. Moreover, our ability to alter them as per our patrons’ demands makes these highly well-liked. Concrete/ Pavers internal road with street lights. We are involved in rendering sand blanket services to our valued customers, which are suitable for minerals, rock fragments and small grains. 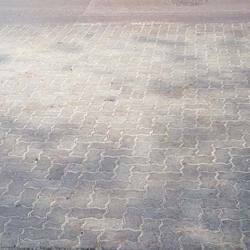 Mainly used in the construction industry, these services are at par with international quality standards and are offered at market leading prices. We offer services after proper planning, taking into consideration client's requirements. The Road contracting division of Magoxy Infra Pvt. Ltd., was established in the year 1995 with a dedicated team of individuals striving towards providing quality roads within the time constraints and adhering to all safety standards.